In this series, we’re discussing basic to advanced techniques for writing fast, efficient, and focused unit tests in the Django framework/content management system (CMS). Let's start with some background. 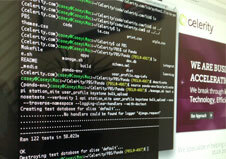 One of the most important aspects of working on a software team is software testing agile code. During a big sprint towards a production release on a recent project, my web development team decided to get really serious about testing. After all, we had code in production now. We had to make absolutely sure that future releases fixed bugs instead of introducing them. 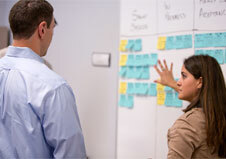 Accelerating Your Project With Collaborative Website Design: Can You Really Have It All? Everyone has heard the old adage, “you can build it fast, good, or cheap…pick two.” In most situations, the reality is that you can’t have it all. But what if you could? Because collaborative design maximizes the possibility of achieving all three of these options, it may be worth considering for your next website project. But before choosing a collaborative design approach, it’s important to understand what it involves. It’s not a “one size fits all” methodology, and only works well in specific situations. 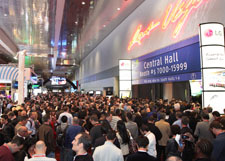 What Can We Learn from CES 2013? 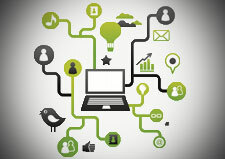 CES 2013’s hottest trends demonstrate that the connected world we live in is about to get even more connected. Many of the bleeding-edge products demonstrated at CES show how rapidly technology continues to evolve, forcing all of us to "think outside the box" when it comes to our content and digital asset management strategies. Working in agile software development, you need to keep pace with ever-changing programming languages. If you’re anything like me, you want to be on the bleeding edge of new technologies. I’m always looking for the latest, coolest tools or frameworks in order to be more efficient. About a year ago, I started looking into functional programming in Scala, a language that exists in the Java world. Scala has earned recent notoriety thanks to a popular social network: Twitter’s entire social media infrastructure is written in Scala and successfully handles billions of operations every day. Makes you curious about Scala, doesn’t it? So, just what is it? Every day, we find ourselves engaged in similar conversations with our clients about the latest and greatest technologies. 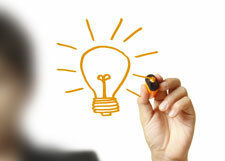 They want to know what’s hot, what’s not, and what solutions will drive their organization forward. The trends du jour include big data, cloud computing, social media and self-service business intelligence, just to name a few. While technologies continue to evolve, the end goal remains the same for our clients: adopt and implement the best-fit solution that will drive greater efficiencies, improved customer experiences and ultimately...revenues.